The navigation system will adopt and follow the latest international standards for Navigation Systems, defined by IMO and IEC. AIS, DPS and Autopilot/Track pilot system, Multiloading Online Control Stability System. 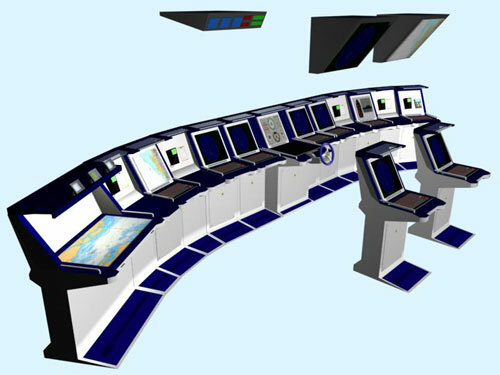 Wheel house consoles are part of the Navigation System supply. Tentative wheel house arrangement is illustrated in Appendix 1. 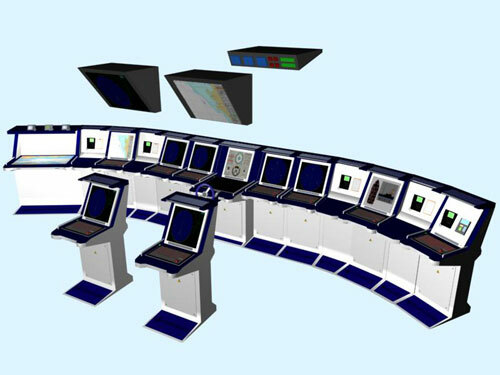 Consoles will also house necessary additional components for IMCS C2 and ANCS-System, propulsion/steering system and for machinery monitoring, required to be operated on bridge. All displays in the wheel house are high contrast TFT-type displays. Display size and modes are according to requirements. 1.2 Navigation System integration with other ship’s systems. Following figure illustrates the navigation System integration to other ship’s systems. Enquires and its Parameters of specified Area in a specified Scale using specified Palette. - Building of Chart of specified Area in a specified Scale using specified Palette. Charts’s Contents is limited by a list of Chart Layers. - Getting of Chart Object under a specified small area. - Getting of Alarms for a specified Area. - Electronic Chart of specified Area. - List of Chart Objects. are defined at later stage. - The world-wide database of Electronic Navigational Charts (ENC) for all available standard scales. Weekly updates. - Source data in S57 standard, V3.1 version or more recent. - Display of all cartographic components in accordance with S52. - Base, Standard, Other Display as specified in IEC61174. - More detailed information layers in accordance with Viewing Groups specified in S57. - All ECDIS Palettes: DAY-BRIGHT, DAY-WHITEBACK, DAY-BLACKBACK, DUSK, NIGHT. - Paper chart and Simplified chart symbols. - Building of hierarchical objects tree under the requested area. This gets information about all objects on the Chart. - Displaying and use of Additionally Military Layers AML in accordance with STANAG-7170 and STANAG-4564 standards. - Extracting and export of digital information about Objects from Electronic Navigational Charts and AML. - Navigational Calculator allows to recalculate coordinates between any 2 Ellipsoids in accordance with S60 standard. - Use of DEM (Data Elevation Model) Databases to get information about height of any point on the Earth. - Displaying of Additionally Military Layers AML in accordance with STANAG-7170 and STANAG- 4564 standards. Two LSR-85 Inertial Gyro Systems are included in the Navigation System. Sensors, which require fast update rate information, are connected directly to INS. Normal navigation systems (i.e. ARPA radars) can not scope with HDLC protocols and high speed data streams, therefore the information is transformed to a commonly used (in navigation systems) data formats. System Gyro information is available in Ethernet Data format via Navigation Data Servers. Dual Action speed log system is included in the Navigation system. The system supplies both Water Track and Bottom Track information to Navigation system sensors. Water track speed is used by ARPA, radars according to IMO rules. The system has two-function log unit, working both on bottom track principle and on water track. of speed repeaters, distributed in wheel house and engine control room. - IEC61162-1 serial format outputs to ECDIS, Navigation Data Servers etc. Speed log information is distributed to IMCS C2 and AWW-System via Navigation Data Servers. Navigation echo sounder function is included in the navigation system, as a part of standard equipment for navigation. - Graphical display, which is also used as «play-back» media for depth history. Echo sounder information is distributed to IMCS C2 and AWW-System via Navigation Data Servers. Two independent satellite based (DGPS - GPS/GLONASS) receivers are included in the Navigation System. Position information to IMCS C2 and AWW-System is transferred via Navigation Data Servers. Position information output to DP-System is also provided. Additional position reference system, independent to satellite based system, is included. The position system is based either on Radio Navigational or on Laser principle. The position information from satellite independent system is used in Navigation system, IMCS C2 and AWW-System and in DP-System. Automatic Identification system (AIS) is included. For normal navigation and ship’s transfer function, a standard Autopilot function (also called Trackpilot) is included into the DP-System. One 2000W Halogen type search light with remote controlled operation is included. One 2000W Xenon type search light with remote controlled operation is included. Navigation Data Recorder (recordings from Navigation Data Network) is included. Navigational data is stored for at least 100days, and can be recalled and analysed by using external lap-top computer. It shall be possible to record data from all sensors attached to navigation system. «Conning» Display, for the presentation of information from Navigation sensors and Propulsion devices, is included. Display pages are customised and different pages are available upon operator’s request. The main purpose of Navigation Data Server is to supply all navigation related information to IMCS C2-System and AWW. Navigation Data Servers are duplicated, forming a fully redundant source for Navigation information to IMCS C2 and AWW-System. The protocol between the Navigation Data Server and IMCS C2 and AWW- System is based on Finnish Navy SQ2000 data format. Navigation data is transferred to IMCS C2 and AWW-System on Ethernet. Ethernet uses broadcast principle and the data is transmitted 10 times / second. Central Time server unit, distributing the time for Navigation-, IMCS C2- and AWW-systems, is included. The system includes NTP-Server functions as well as ASCII-based time stamp output to Navigation Data servers and ARPA displays. The Dynamic Positioning system (DP-System) is used to control the ship propulsion components automatically in different needs and in different operation modes. DP-System tracks (either from navigation system or IMCS C2-System) are displayed in ECDIS workstations. DP-Controls are located both in CIC and on bridge. 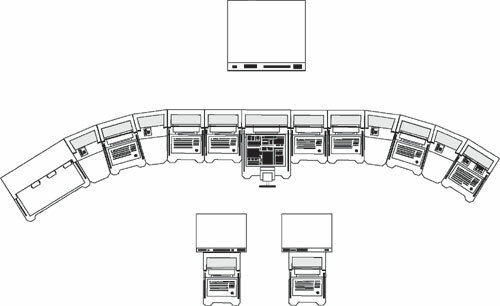 All wheel house consoles and overhead panels are included in the Navigation System delivery. Console configuration is tentatively described in Appendix 1.